Can I customize the documents I create with LSP.expert? You have several options to customize the documents you create with LSP.expert. First of all, you can put your logo on your documents. See Settings > Account. Your name and address should be defined in the Details field under Settings > Accounting. 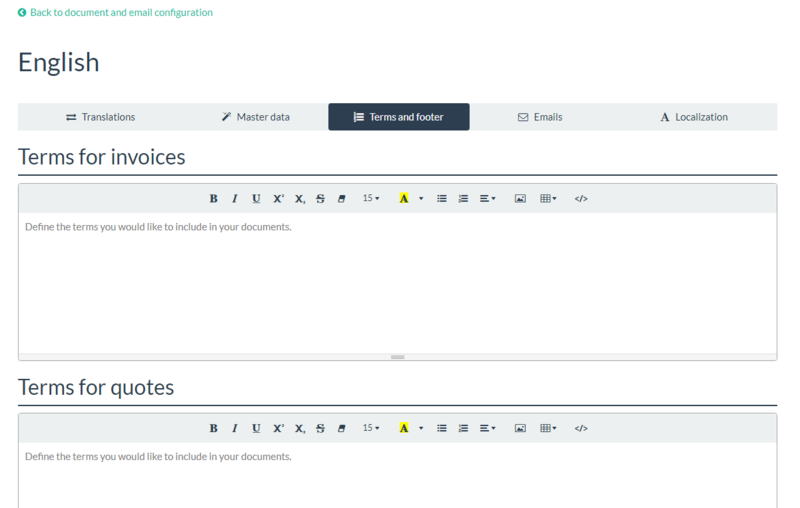 Then, you can choose among 5 different document templates under Settings > Document templates. You can also define a color for your templates and some other lay-out options. There is also a checkbox that allows you to "Display terms on a separate page" if you want your Terms to appear on the back of your invoice, for example.